Rabbi Berman joined our Shul in 5774 and has been delivering stimulating divrei Torah and captivating Shiurim. He and his Rebbetzin have been instrumental in the growth of our community. 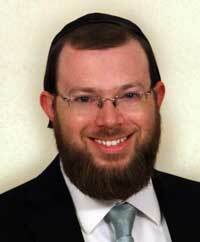 For more information about Rabbi Berman or to contact him, please see his bio. Please see his latest Divrei Torah too. 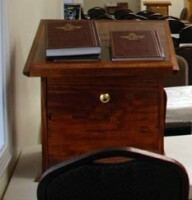 We currently offer traditional, Orthodox, nussach Ashkenaz minyanim nightly, every Shabbos, and Mincha-Maariv on Sundays. For more information on the Zmanim of these minyanim, please see the schedule. On Shabbos afternoons you are welcome to join us for our various Shiurim given by our Rav. We currently have a Shiur on practical Halacha. Please consult the schedule for details. Shabbos Mincha is followed by Shalosh Seudos with Zemiros and a Shiur tied to the Parsha. 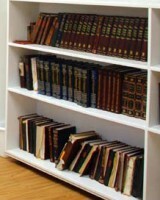 There are also seasonal Shiurim given throughout the year for both men and women. Consult the schedule for more information. We offer Shabbos day youth groups for the children of our community. Our youth directors daven, review the Parsha, play games and more! More on Shabbos Youth Groups in Pomona.